Do you have a road bike for the summer of 2019? 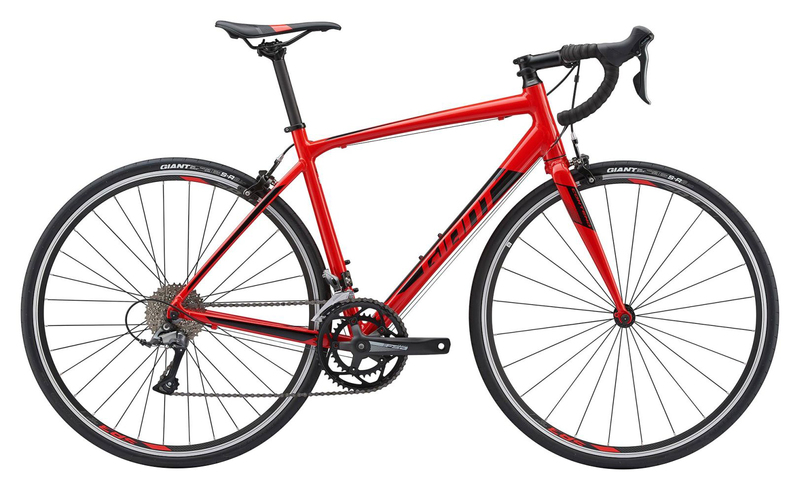 In this guide, I will help you to choose the best entry level road bikes. The road bike is the most specialized of all the different bike types and meant only for riding on tarmac. I’ve thought the same. Going to your local bike store you can see them on sale with price tags starting from $800. Those, I’m sure, last very nicely and are good bikes, but there are also great alternatives. And much cheaper ones. I’ve brought out a number of top-notch best entry level road bikes for 2019! Our Top Pick For Beginners! Tommaso has been making bikes now for 30 years and has guaranteed a high market share. In its price range, this ride is hard to beat, especially on entry level road bikes for bikers who don’t know hot to buy a bike! It has three colors – Black, white and burnt orange. All have nice designs! Six sizes – from XXS to XL! User likewise has good things to say: Shimano Claris components, free Tommaso bottle cage, very light SLA 6061 FRAME with good geometry, comfort seat made of memory gel. This bike comes in a single box and is almost entirely assembled. But if you feel insecure, scroll down and see, how to assemble it! If you want to get the least from this bike you should buy new rims. 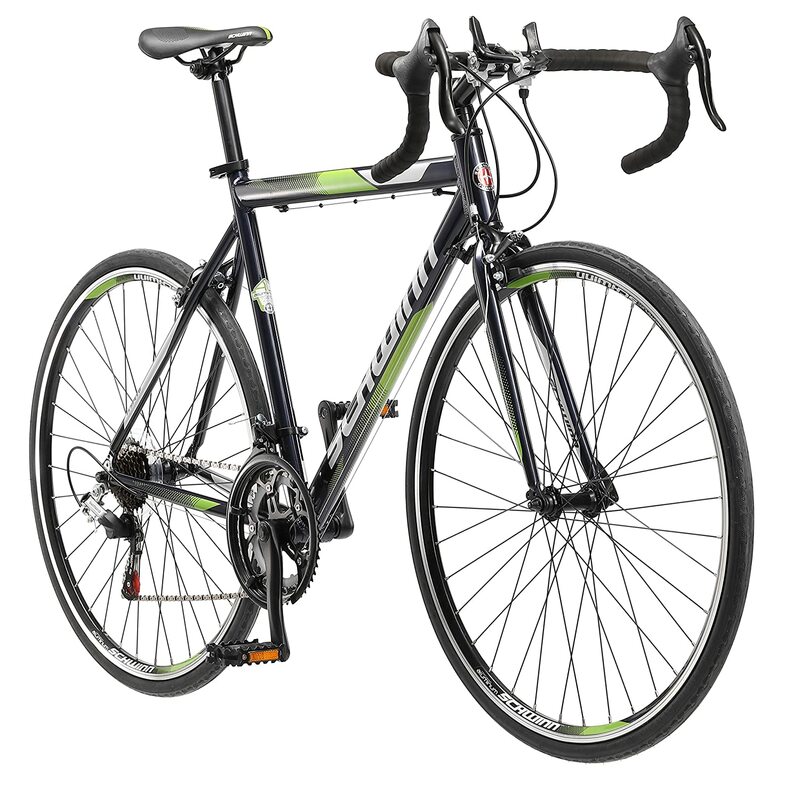 It makes your best entry level road bike almost unbeatable compared to other road bikes. It is a good idea, because the frame is with very good geometry and you can build a better bike around it. Related: Fix your ride – Silca T-Ratchet & Ti-Torque Kit Review! But still, It’s a pretty lightweight bike for the cheap price and weights something around 22 lbs. The customer reviews are good and most of the owners are stunned by the quality of the bike. Typically entry level road bike is without the Shimano class parts and weighs more. However, you can choose to upgrade the bike. I.e replacing the seatpost to decrease your bike’s weight, buying new rims etc. But it is not strictly necessary for all entry level bikes, especially for this Imola because it offers really good value. This Tommaso Imola will get you to the next level, being one of the strongest offers at the moment on the internet! In our opinion (and we’re sure many will agree), Diamondback makes some of the most attractive and the best looking road bikes in the world. It’s, without a doubt, one of the best bicycle manufacturers that you can get in the USA. Their quality lies in the fact that they make entry-level, mid-range, and high-end models. Therefore, anyone can find something that they need. Diamondback Century 1, which we are reviewing here, is an entry-level model that even offers several glimpses of the mid-range world. It has a beautiful glossy-blue aluminum frame with a taller head tube that puts you in a more upright position. This way, you will be more comfortable and be able to do long endurance rides on it. Because of this, Century 1 is very popular with riders who are buying their first road bike. Other than that, Diamondback Century 1 has a harmonic combination of FSA and Shimano road components. They will provide you with 16 speeds on a 2×8 drivetrain. You’ll do the shifting with Shimano Claris R2000 parts, and the 11-32T cassette is a part of the same groupset. The rest of the drivetrain is supplied by FSA. One of the things some riders might not be stoked about is the brakes. Namely, Century 1 does not come with disc brakes, but with dual pivot Tektro brake calipers. Don’t get us wrong, they work just fine. However, a pair of disc brakes would maybe give this Diamondback model even more versatility. The tires are Diamondback’s, and they’re 28 mm wide. This is a bit wider than what you can find on most road bikes. However, it’s perfect for entry-level riders who should have more grip when cornering for safety and confidence reasons. If you’re buying your first road bike and you want it to last a long time and get you through many long rides, you can’t go wrong with Diamondback Century 1. 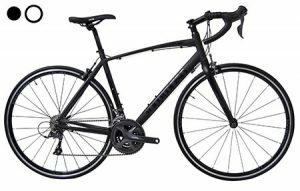 Conclusion: If you need a light, fast, durable, and attractive American-made road bike, Diamondback Century 1 is there for you. Giant is well known in the cycling industry since 1972. Customer reviews validate our opinion – This Giant Contend 3 got solid parts with smooth and accurate shifting thanks to Shimano Claris group-set. It boasts a lightweight aluminum frame (called ALUXX-Grade) that is perfect both for a beginner and an adept rider. It has an aluminum fork with Alloy OverDrive Steerer. If you find the riding position not entirely comfortable, you can easily turn the stem into upper position to change it. Some customers have found the saddle to be less than completely comfortable on 2018 models. This has better Contact saddle. FSA and Giant parts of this bike are as strong as a rock though also quite heavy. If they wear out, you can replace them with lighter ones. Importantly, they also don’t cost much for beginner road bikes. Those parts aren’t bad actually! There is a variety of sizing options available at this price point. If you are right between two sizes, you should probably size down. For this price, it’s very-very, if not possible to find a better bike! It has 16 gears and platform pedals with toe clip and strap. If you want, you can find new pedals on Amazon. As you can see, definitely the best entry level road bike to buy! The lightweight aluminum frame with a carbon fiber fork! WOW, entry level road bikes don’t offer something like this very often, however, this Tommaso Forcella does! Carbon fiber provides maximum road vibration dampening and extra comfort. Hard to find another entry level road bike that is comparably lightweight like this one! To get great speed, you have to have great wheels. TC-30 wheel-set is lightweight and aerodynamic for the price and is one of the best ever to be put on an entry level road bike. Matte Black and Matte White are available! This Tommaso looks like a real racing machine! You won’t be able to tell that it is one of the cheapest road bikes on the market. I have seen too many Roadies with very expensive Specialized or Colnago bikes. They cost over $5,000! Can you imagine it? I know what it feels like to beat a guy who’s riding a bike that expensive bike when you have a very cheap entry level road bike! You must try it, it’ll make your day. Assembly can be very tricky and require professional to do it according to the manufacturer. The 8-speed cassette is also not the best choice for faster rides. And be careful to not choose an unsuitable size. For more details click in order to see the size chart. It undeniably has the best saddle of all the three bikes and comes with a lifetime guarantee for the frame! Don’t forget that this bike has Presta valves. If you don’t have it already, you’re going to need a pump for it.I use This Presta pump which comes with a lifetime warranty. This Schwinn Volare 1300 got its place on my list immediately as a good cheap road bike and here it has remained. I bet you all knew the Schwinn before. It used to be one of the best-known manufacturers around, but it has been sold several times in the last years and a bunch of times before that as well. Typically these purchases can bring with them changes to the quality of the bike, but with Schwinn, it luckily has remained the same and the price has even gone down some on the best cheap road bike. So they have become known for making good bikes for starting out. It is the only cheap road bike under $300 that is worth buying, so the Volare, as the name implies, fills a vital niche for people who want to try their hand riding a bike. I am personally impressed by the quality this bike exudes and for the money, it does so! I’m sure that with this setup, you can ride for several years during summertime. You’d most likely need to visit the local shop 3-4 times to have the wheels re-trued and maybe upgrade some parts (the saddle for example) but everything else is simple – sit and ride. And if you are a true roadie, then you’ll want to upgrade it so as to make it lighter and otherwise faster. For after a while you might not like being the last person over every hill cause of a 30-pound entry level road bike. Users suggest replacing the rim tape. This is important because the tape of the rim is quite thick and can rub your tire and you’ll end up getting a flat. You can be sure to find something from Amazon, Zefal is a good enough choice. You can get one for less than $10. Concerning the pedals- when you want to train harder, you should get yourself Shimano clipless pedals. But there’s a downside as well. It only has two size – 19″ – 48cm (not 18 as mentioned on Amazon) and 52cm! 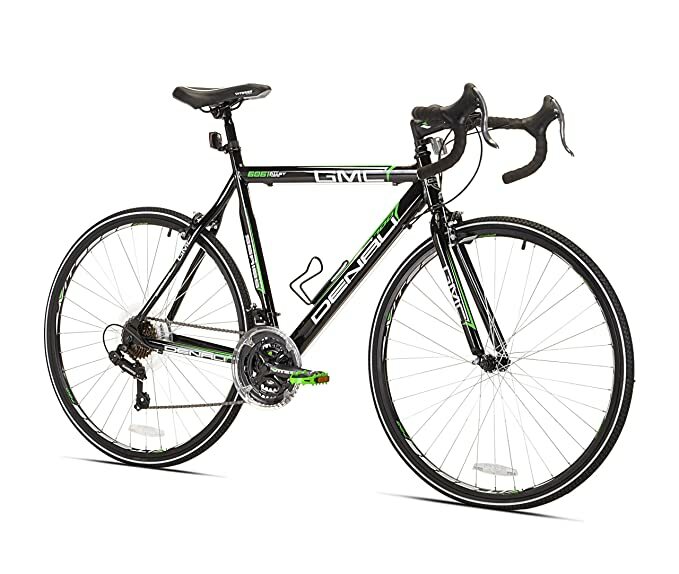 But for a road bike in the $300 range, it’s hard to go wrong buying this one. The GMC Denali road bike is built around an aluminum frame and fork. Component-wise it’s pretty much what you would expect for a bike in this price point. Non-groupset Shimano derailleur and shifters are stock on this bike and the brakes are advertised as “alloy calipers” but there are no other markings that can be used to identify them. This might be the best cheap road bike of 2019 for your needs. The bike rolls on 700c size wheels, which is great since it’s the most common size and there are plenty of replacement tires and tubes available. The alloy rims are what’s known as high-profile, this means that they are taller than regular spoke rims. The added height gives the wheel more stiffness and better aerodynamics. High-profile rims can be considered the middle ground between the disc and regular spoke wheels. Have you thought, what should an affordable, entry level road bike look like? If you ask me, then here it is. Its design is that of every road bike, I bet nobody can tell that, in terms of pricing, it is in fact cheap. The design of the Vilano is just like those of expensive models. Also, try not to forget, it’s one of the best bikes out there. The 6061 Alloy frame is also used on many $1,500 bikes. And there’s a good reason for it – it is lightweight, yet strong. 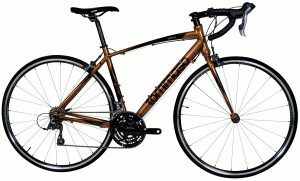 Including it on this Vilano – at this price – is a refreshing note and top-notch choice when choosing best entry level road bikes. Shifters are one of the most important things on the best beginner road bikes. It has a Shimano A050 trigger shifter that provides good shifting without costing too much. I’ve seen similar shifters last over 5 years with minimal maintenance. You just need to visit the local bike shop for maintenance and it really is quite cheap. It would be expensive when you break something but this bike has decent, reliable parts. As a real extra, you get “super-low” gear for taking on the mountains. It is preferred for new entry level riders who don’t have that much force in their legs. Altogether, its weight is only around 25 pounds which makes hill-climbing even easier. Its weight is excellent for beginner road bikes like this one! Whatever you do, Fitness, Sunday riding or marathons, this bike will do it. And with a price this low, your budget will love it as well. It’s a great budget road bike for under $500. CONCLUSIONS – Which one to choose? All these bikes are value-added possibilities, but, if we drill into the details, then the Imola model, available in one of three cool colors, is probably the best choice for such longer training rides. It’s the best road bike for entry-level riders that we’ve found. 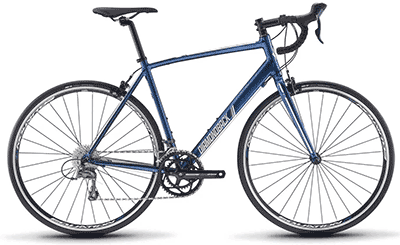 If you need a light, fast, durable, and attractive American-made road bike, Diamondback Century 1 is there for you. Also, a strong performer is the Giant Contend 3, with a nice set of components and relaxed frame geometry. 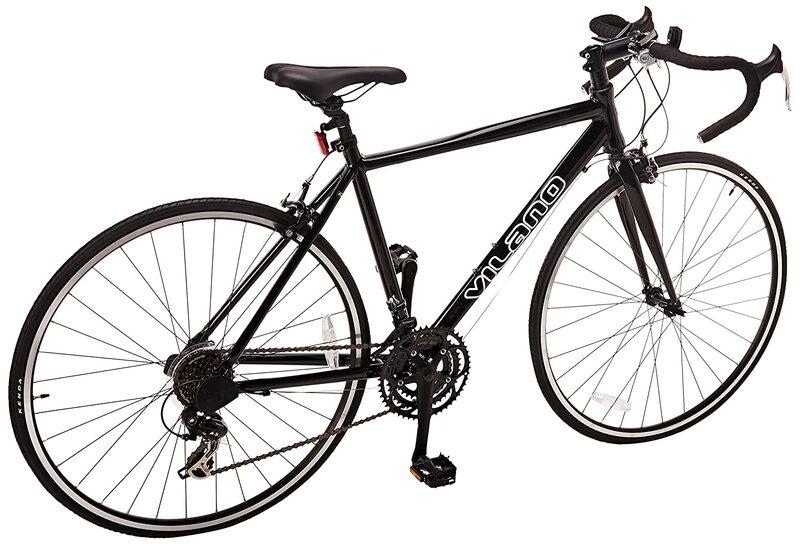 If going cheap is what you have in mind, then we’ll point you at the Schwinn Volare 1300. Yes, it’ll be equipped with a cheaper component group, but, if normally maintained, the bike will work nicely for years to come. Our second choice for minimal investment is the GMC Denali – super cheap but equipped with slightly better components, and available in three sizes. If you prefer longer training rides, then the Tommaso brand may be best for you. It offers bikes with more relaxed geometry, and thus, enjoyment. The Imola model, available in one of three cool colors, is probably the best choice for such longer training rides. Not to be overlooked, though, the Forcella model is a great pick and in this current model iteration, comes standard with an unexpectedly-nice component set. It’s also the best pick for women in our opinion. So, you hard trainers, you’ve got choices! Don’t forget that all these bikes are the best picks for beginners! Yes! They definitely are. But only best entry level road bikes are here to stay. These fantastic bikes will last you many great years. Like the expensive ones, their advantages are in speed, lightness, and an aerodynamic riding position. You can ride, get further in a shorter amount of time and see much more. Typically the road bike is more expensive compared to other types, but there are good budget variants on the market which, while not meant for races, offer up heaps of enjoyment and sweet adrenaline while riding them. I know what it feels like to shop with a limited budget. But the last thing you want to do is to get the first inexpensive bike you come across. I want you to choose a bike that meets two criteria – it’s affordable and you love it. And about sizing, bike size is measured in a way shown on the picture – from the seat-post to the crank. I will show you some of the best entry level road bikes that are worth buying. 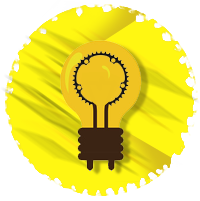 I’ll explain all the pros and cons of each bike so that you could spend money only on those aspects that play a role for you. 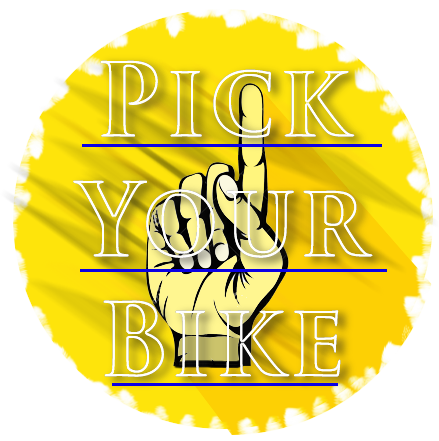 I want you to know everything about buying your first road bikes for beginners, so I’ll give you the additional easy bike size charts to make sure you pick out a road bike with the right size, in case the information above wasn’t sufficient. Best Road Bikes – Are They Expensive? Not always. If you choose wisely. If you go to a Local Bike Shop (LBS) you can see very expensive prices. 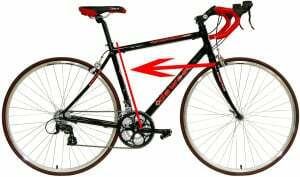 Also, you can check online to find best road bikes which are not expensive. The main difference of price comes from secondary costs like warehouse, marketing, assembly etc. That’s why you can find road bikes for a good price. All you must do is to choose wisely. Let’s say, 80% of expensive bikes are good. But only 20% of road bikes are expensive. So think again, why should you pay more for the same quality? These Amazon bikes come partially assembled and are shipped out in boxes. Many new owners tend to complain about it, but it isn’t something impossible for you to do. There are two ways to assemble a bike. First, take it to the bike shop and they will do it for about $40. Still, a pretty good value if you add it on to the price you paid for your entry level road bike. Or, do it yourself, if you can think logically and work a wrench, then it really isn’t hard. Everything is cable activated and these cables need to be tightened properly in order for the bike to shift and brake properly. So you need to adjust them sometimes. And it doesn’t matter, whether you’re riding a cheap bike or an expensive one. So it will certainly be a good skill to have -adjusting brake and gear cables. But if it looks impossible, let your friend do it or pay the guy in your local shop. So there are a few extra costs at the beginning but it evens out when you are on the saddle of one of the best entry-level road bikes there is. Enjoy! As I have and continue to do. I bet you need it when you’re starting out with the road bike!